As a responsible business owner or practice manager, you want to develop a plan of action to attract new customers or patients to your organization. In fact, most business failures are due to a lack of planning and lack of action taken to bring in new customers. Attrition, or loss of customers, wears away revenue and creates an unhealthy tread. All businesses must grow to stay healthy. 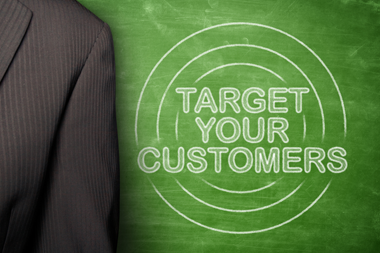 What actions are you taking to attract new customers or patients? Establish a marketing and advertising budget. Most marketing budgets fall between 3-5% of sales. This, however, may vary depending on industry. Contact customers for referrals. Your happy customers are essentially the best salespeople. Be sure to contact your customers to ask for referrals and set up a referral program. Referral programs can offer benefits and discounts to your loyal customers, simultaneously granting you new customers and effectively increasing and expanding your revenue. Be visible on the web. Your business should not be the ‘best kept secret’! In order to become publicly visible, your business needs to have an effective web presence. Your website is an important part of your online marketing efforts and is the ‘hub’ of communication. Be sure your website accurately projects what your organization is all about. Don’t forget about social networks such as Facebook, Twitter, Google+ and others. Don't become outdated. Weekly content shows prospects, new patients and customers that you are up-to-date. Be visible on professional and social networks. People tend to do business with people and companies they ‘know’. That is why it is important not only for you to have a company website, but also access to social media. Social media outlets such as Facebook and Google+ can offer you visible connections and prompt calling from interested parties. Track advertising campaigns and marketing. Do not throw money away! Make use of phone call tracking and Google analytics. Both of these methods can be used to determine the success of campaigns and help make your web presence more effective. Do you have an effective Facebook or Google+ page? Are you visible on the web for specific keywords? Do you track marketing effectiveness?